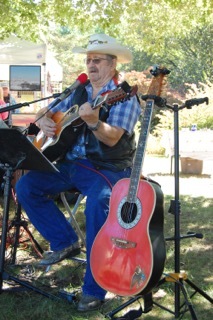 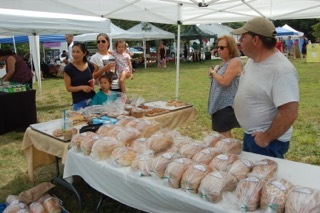 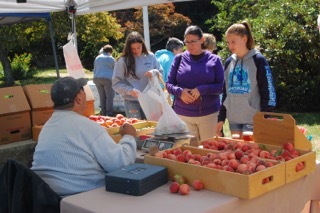 THANKS TO ALL WHO MADE OUR CLT FARMERS’ MARKET SEASON THE BEST EVER! 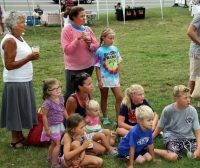 With the Friday of Labor Day Weekend marking our traditional end-of-the-season, there was a bevvy of activity throughout and good vibrations all around! 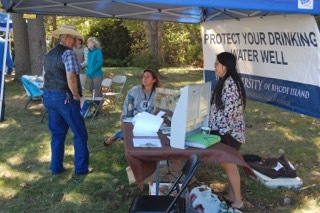 …One last opportunity to check well water quality…. 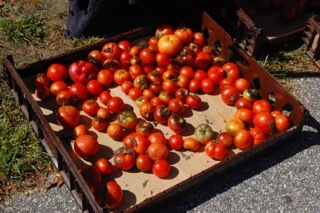 .. .and, as always, an abundance of ripe and ready produce, perfect for holiday weekend celebrating. 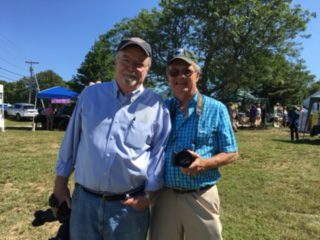 Travel with our talented and faithful Charlestown Land Trust photographers, Roger and Fred, for one more spin around our 2017 market. 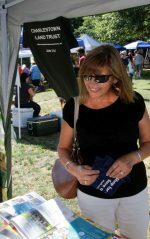 Closing out our Tenth Season with an album of PICTURES seems an appropriate way to do the CREDITS for Season # 10….These pictures really do tell a story of our weekly “doings”. 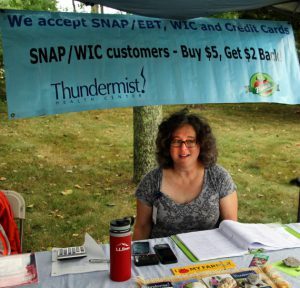 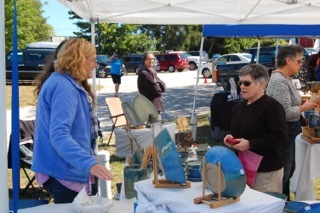 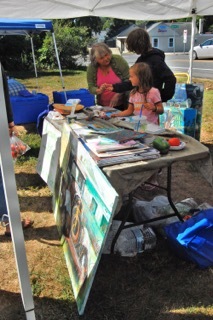 Note Linda, our Program/Music coordinator shown here with Sarah, our Market Manager. 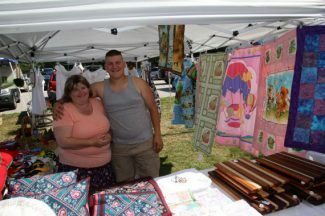 If you visited our market on any given Friday you would surely have had a chance to see them busily going about their tasks, perhaps sharing a conversation with YOU. 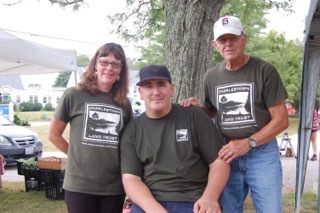 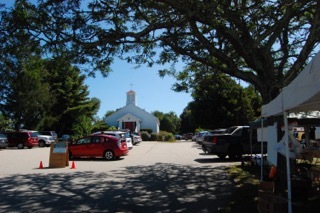 The Volunteers – essential to our weekly operation – some who showed up early to set up, others who came in to staff our market table and assist vendors, still more who helped with clean up at the end…. 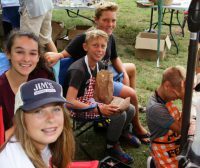 They exemplified teamwork, ready, capable, and cheerful! 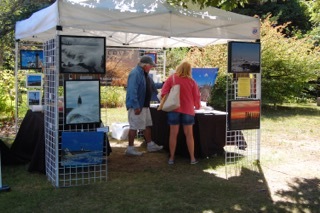 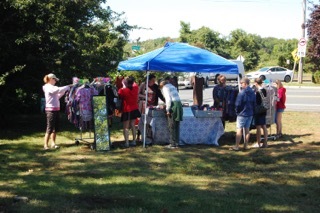 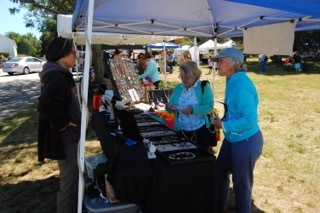 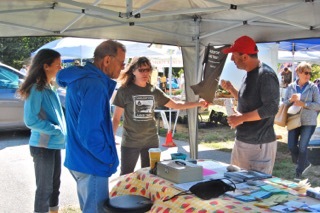 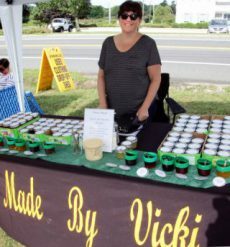 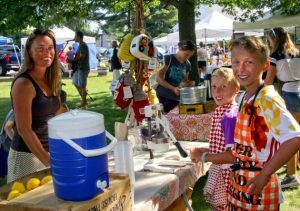 If you chose to wend your way around our market green here’s a sampling of what you would have seen on September 1st….Mind you, each week there would be new surprises along with the vendors you rely on for summertime staples. 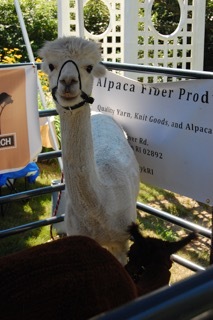 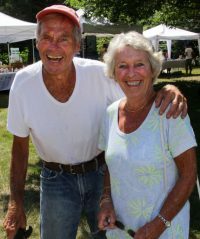 Here too, are some of our Neighbors and Visitors you may have met enjoying our much loved corner of RI… . 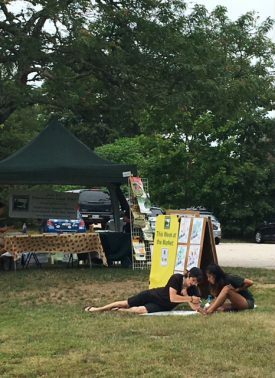 A special Thank You to the Church of the Holy Spirit for generously sharing their lovely grounds with us each Friday all summer long! 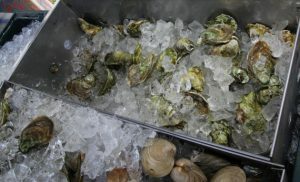 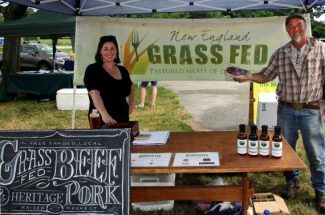 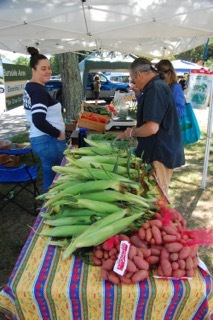 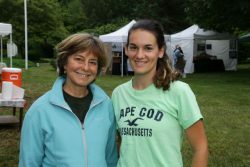 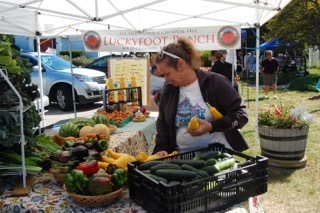 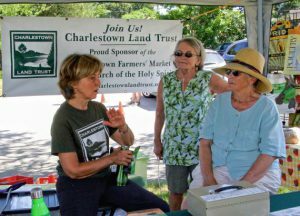 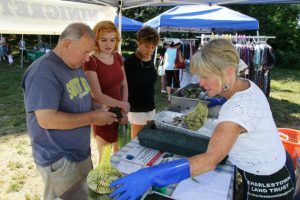 It’s time to settle into Fall, then hunker down for Winter….But every now and then, why not take a “walk” through this past season of Summer Pleasures by scrolling through our Charlestown Land Trust Farmers’ Market blog? 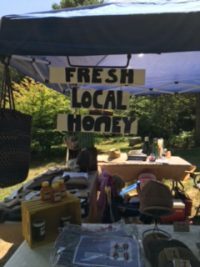 And come next Spring, we at the CLT will be hatching plans for our 2018 Market.